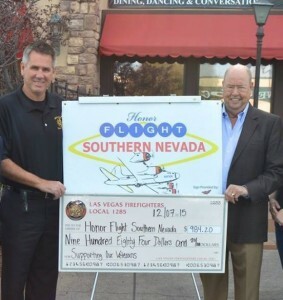 It is with much sadness that we say good-bye to one of the Founders of Honor Flight Southern Nevada, Peter Maheu. Peter was a key person in helping make these flights happen. His support for Honor Flight started as soon as he heard the mission. He came on the Board right away, making calls and reaching out to the community to gain more support and recognition. Peter served on the Board of Directors since the beginning, lending his expertise in business operations and leadership to mentor every member of the Board and Executive Committee. In addition he offered his office to serve as ours and asked his staff to help whenever they could – which they have!!! 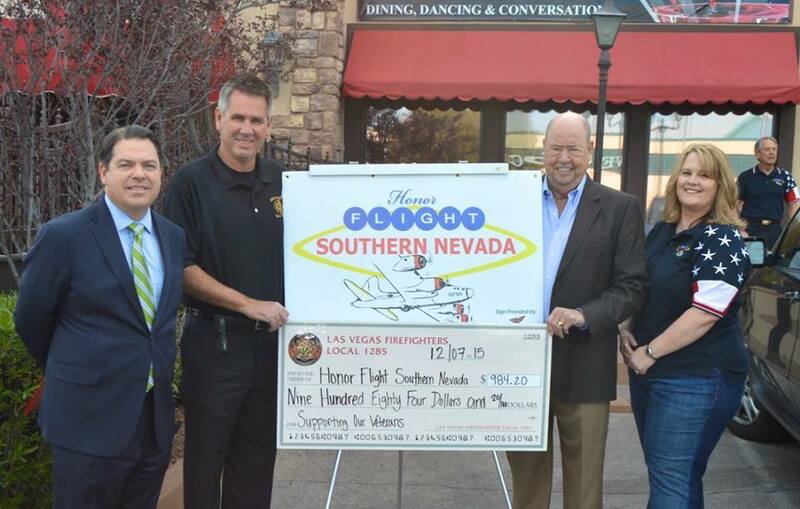 Peter Maheu with Las Vegas Firefighters Local donation. It will be hard to imagine Honor Flight Southern Nevada without Peter – his smile, his problem solving skills and his unique ability to bring humor to every situation. Peter Maheu was our Board Vice-Chair, our friend and a supporter of all veterans! If you would like to make a donation in Peter’s name, click the button below. We have received a dozen or more donations in Peter’s honor and we are humbled by the showing of support and care from so many who loved Peter.